Mary Sodaro, 52, is seen in a booking photo. SANTA ANA, Calif. -- A woman was sentenced to 26 days in jail for allegedly wrapping her dog's large tumor with a rubber band, leading to the animal having to be euthanized. On Aug. 7, a Boston terrier entered Hoag Memorial Hospital in Newport Beach on its own. Witnesses at the hospital saw that the dog, named Pasha, had a large tumor on its jaw as well as a severely ulcerated eye. Witnesses called the Newport Beach Police Department. When officers arrived, they found Pasha in the hospital's chapel. The dog was immediately taken to an emergency vet clinic, according to the Orange County District Attorney's office. Pasha ultimately had to be euthanized. 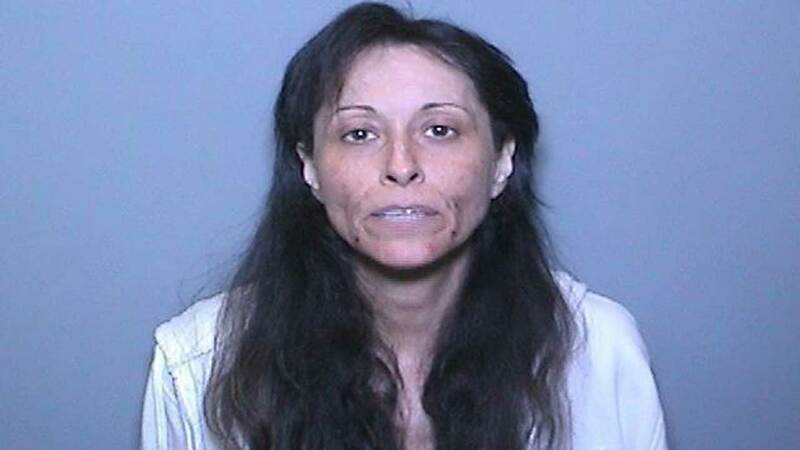 Police officers tracked down Pasha's owner, identified as 52-year-old Mary Sodaro of Victorville. The district attorney's office said Sodaro had taken Pasha to a vet twice recently and had refused treatment for her dog. During the most recent visit, the vet offered to euthanize Pasha for no charge due to irremediable pain and suffering, but Sodaro refused. Following the necropsy, officials said the rubber band was found completely embedded in the large tumor on Pasha's jaw. Per a vet's evaluation, the rubber-banded tumor was very painful and was severely obstructing the dog's ability to breathe. In addition to the large tumor on Pasha's face, there were more than 300 small tumors found throughout the dog's body. On Aug. 24, Sodaro initially pleaded not guilty to three counts: animal cruelty, failure to care for an animal and allowing an animal to be at large in a public place. On Sept. 6, Sodaro pleaded guilty to all charges, the district attorney's office said. She was sentenced to 26 days in county jail, time she has already served. Sodaro was also placed on three years of informal probation, ordered to pay restitution and ordered to undergo mental health counseling. Also, Sodaro is not allowed to own, possess or live with a pet during her probation.